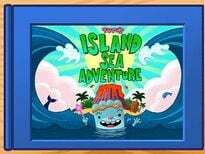 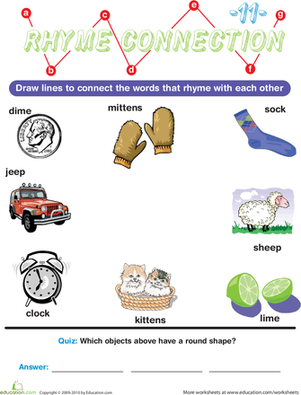 What rhymes with "clock"? 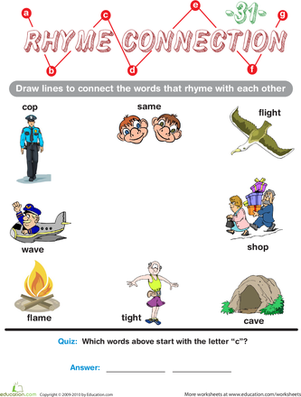 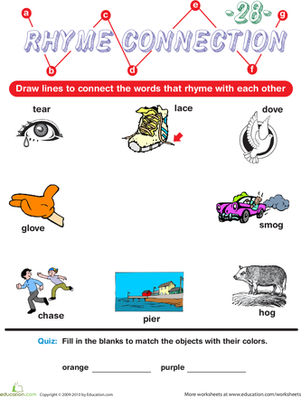 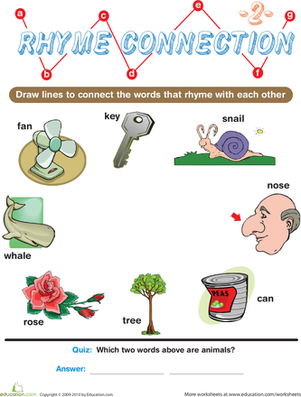 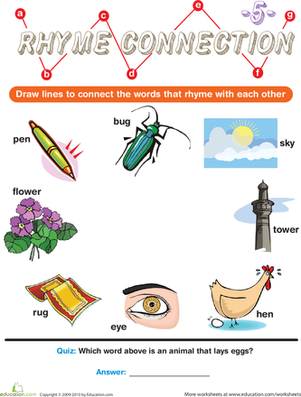 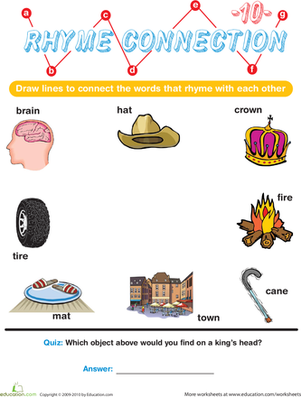 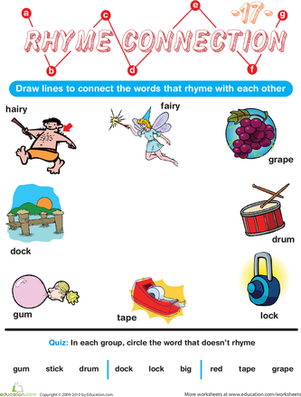 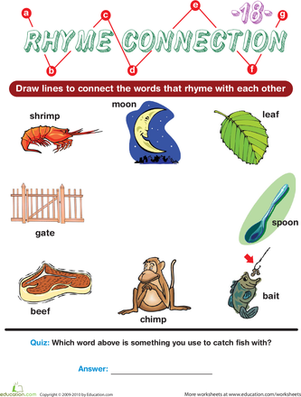 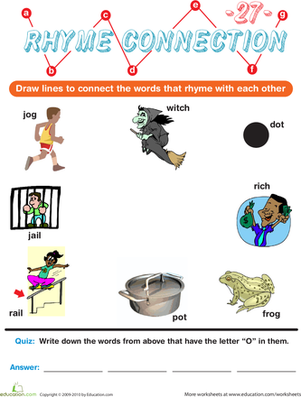 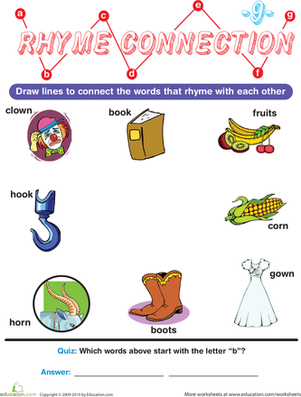 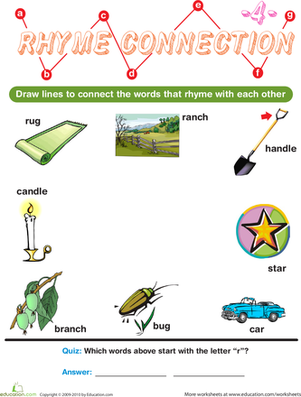 This Rhyme Connection worksheet will help your child brush up on his rhyming with eight new words! 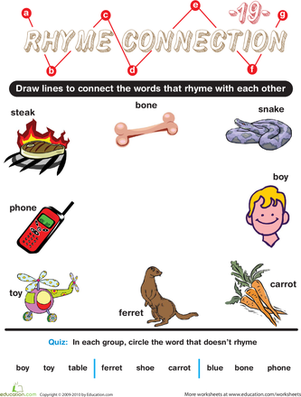 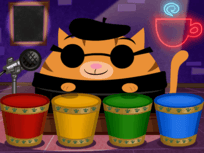 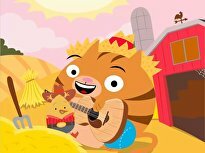 Working with rhymes helps children build a complex understanding of language. 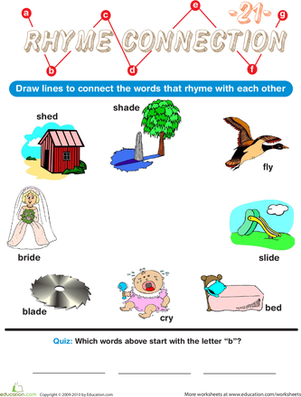 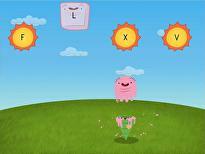 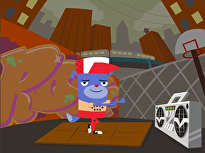 Plus, the bonus shape recognition question at the end will help him connect those rhyming words with the shapes he learns in maths!